After my first collection of stylish Hindi fonts I've collected some more stunning Devanagari fonts. This latest collection includes some popular and amazing Hindi fonts which I got after a long time span and ranked according to my best. Some of these fonts are often found on street boards and on other hoardings but hard to find on internet for beginners. So I added these awesome and quality fonts' collection to this blog. Some of these fonts are perfect for writing quotes and phrases. Many of these are from Kruti Dev's Display series and Kruti Dev 300+ series which are designed to use for headings and short lines. These fonts are the perfect choice for stylish work. As always I ranked these fonts according to look and use. Hope you like this countdown. Fonts can be downloaded from download links given after each preview images of fonts. Font name : Kruti Dev 360 regular Hindi font, Font family : Kruti Dev 360, Font style : Regular, Download font. Keyboard Layout Type: Remington gail layout. Download Shusha/Hemant font. Keyboard Layout Type: Remington gail / Phonetic layout. Download Kruti Dev 500 font Download Aarti font. Keyboard Layout Type: Remington gail and Phonetic layout. Hi your dotted font is great, but " & ' should be ष श. But they don't work. Also there is no letter for ऊ and ञ. The last one is not needed , but first three are quite important. Thanks. Hello Mihir, download this font again and install again now open a new document in MS word select font and type. This should work, let me know if you are able to type in this font. Put your email id in subscribe box to stay in touch with us. 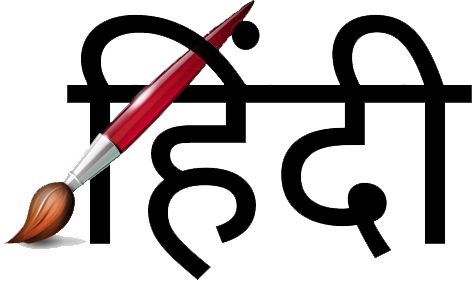 You can download some of the Hindi unicode fonts from here. I have downloaded Himalaya regular heading font.It works great in MS word but doesnt work in picsart that is on android.Fonts with extension .ttf works but Himalaya has .TTF extension because of which whatever we type comes in default only .So plz sugest. i need arvind balram hindi font. I want balram indi font.